This is a small sampling of some of the many testimonials I have collected during my years of service in this industry. You saved me a ton of money and got me a great deal on my new home! As an investor, developer and property owner in the Seattle area for over 25 years, I have worked with a lot of agents and you are one of the best. 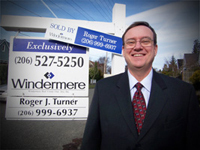 Having known you for many years, I already know you to be a personable, knowledgeable, and trustworthy realtor. What I didn’t expect was that you would be able to save me possibly tens of thousands of dollars on this transaction by really going the extra mile. Using your extensive knowledge of property development and land use, you were able to identify opportunities that I might have missed. Delighted to say the least! I know that your more typical client is a home buyer or seller of their own residence, but the skills that you demonstrated in my situation would go a long way in help them get the best possible price for their home or to discover their next dream house. I was also impressed by your connections to other professionals. You were able to refer me to a good architect, Title Company, and various other contractors. Thank you for all your help on my recent home purchase. I feel so positive about your work that I will be pleased should you use me as a reference for any of your future clients.